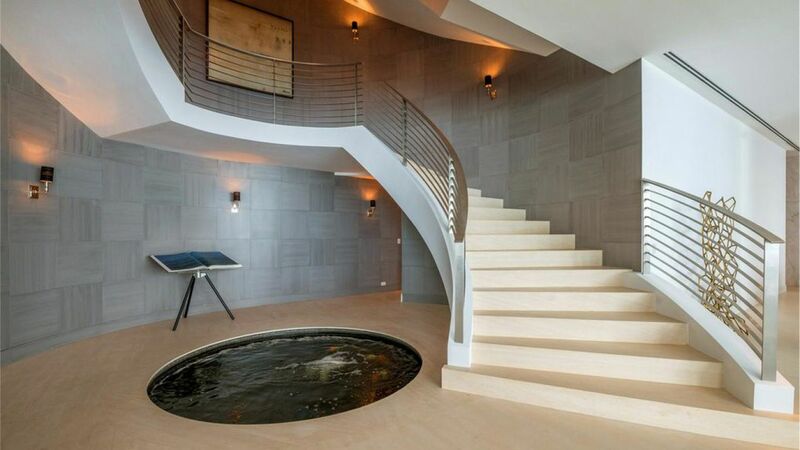 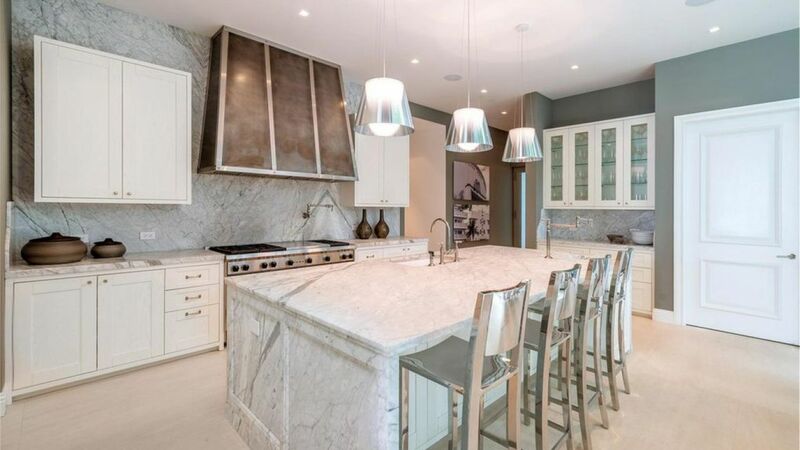 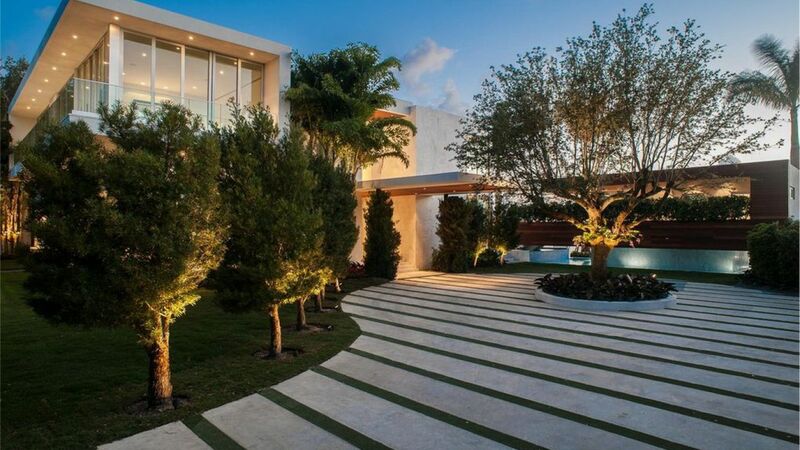 Villa Roxanne is a magnificent brand new modern masterpiece situated on an estate-sized lot on upper North Bay Road. 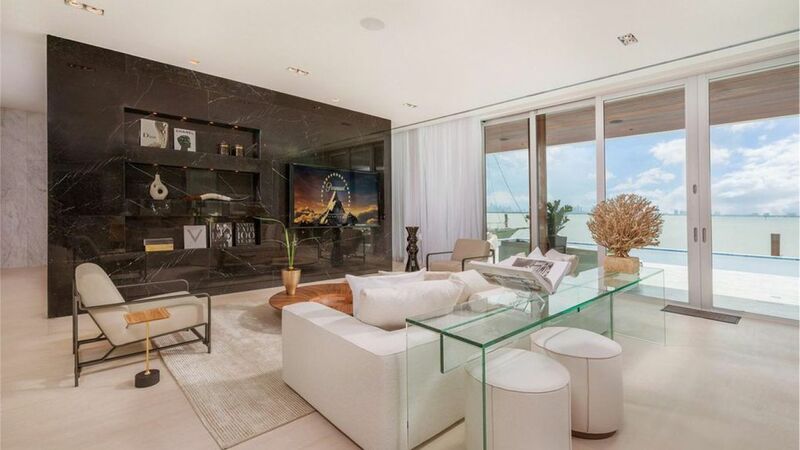 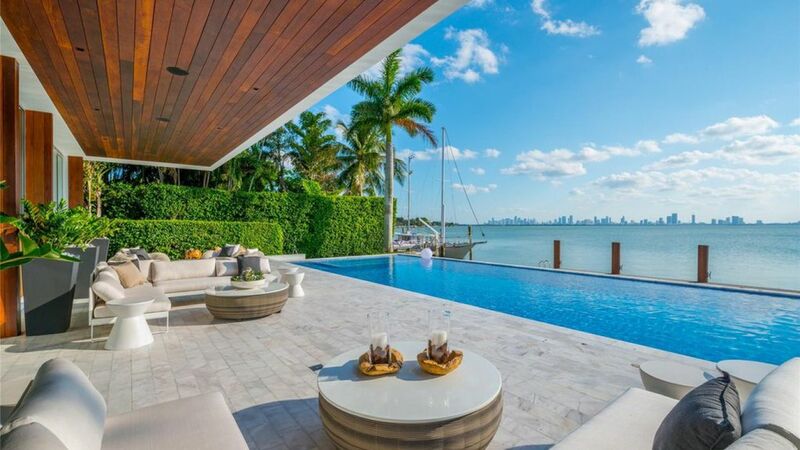 From this lavish home, guests can enjoy the elements of sea and air all gazing at a breathtaking wide-bay view of downtown Miami. 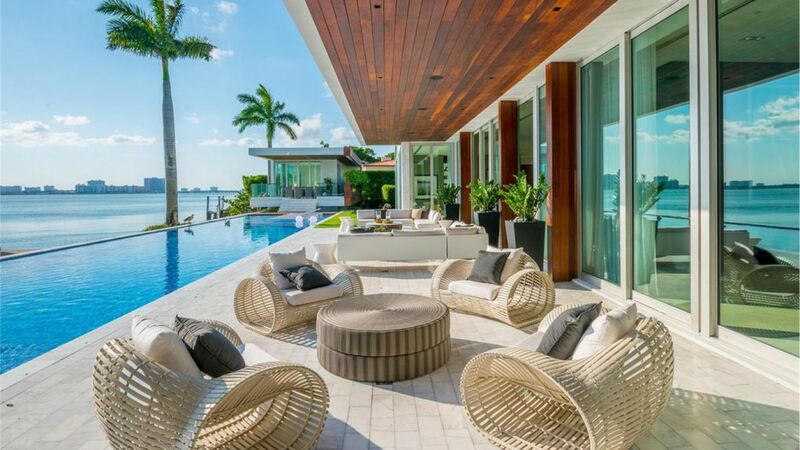 The villa is tastefully styled with contemporary furniture and accessories. 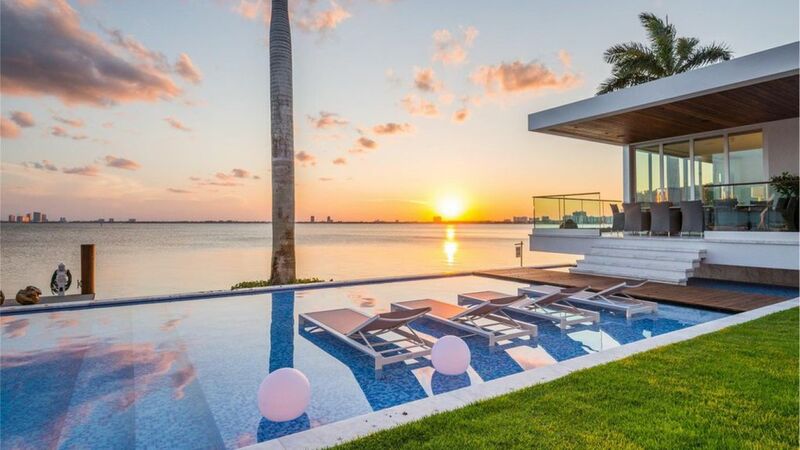 A retractable glass wall soaks the room in sunlight while allowing the breathtaking interior to seamlessly blend with the equally breathtaking outdoor area. 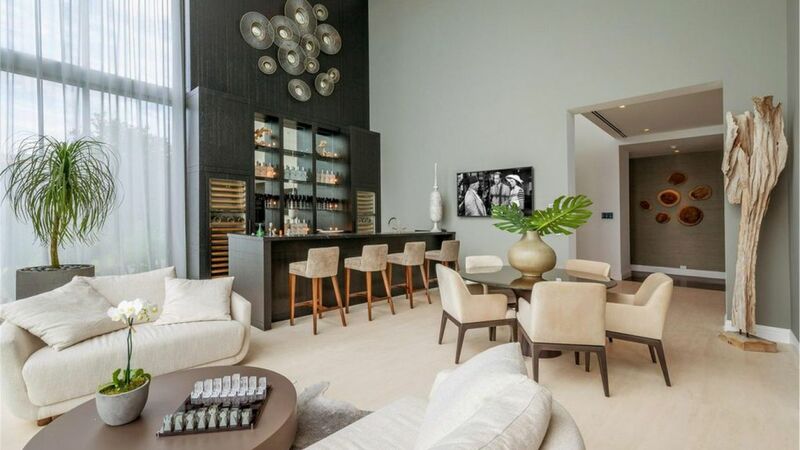 This expansive smart home features eight spacious bedrooms and can accommodate up to 16 guests comfortably. 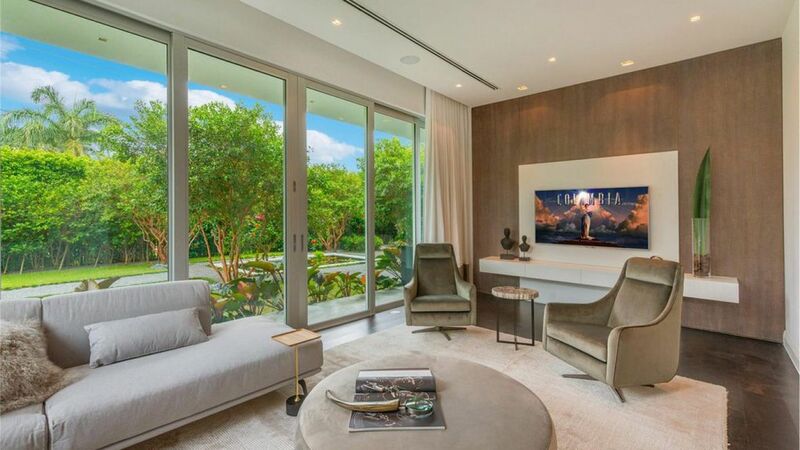 While the 7th and 8th bedroom are currently unfurnished, the first six bedrooms are equipped with sleek furniture all throughout. 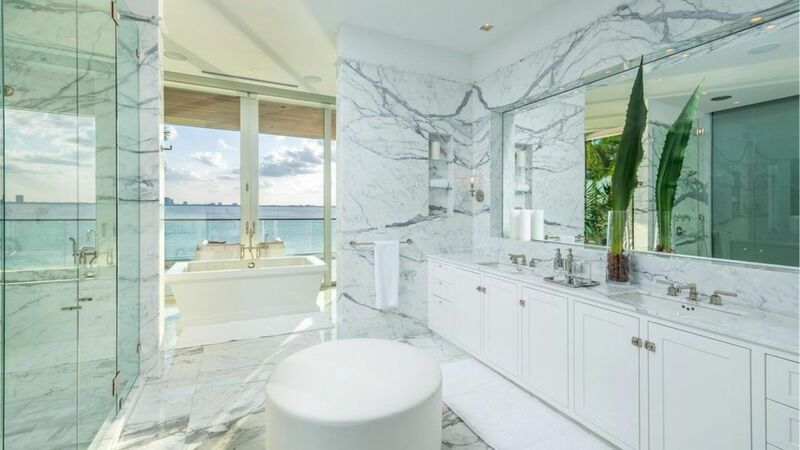 Additional features include floor to ceiling hurricane impact glass windows, elevator, voluminous ceiling heights, palatial living room, den, library, a separate guest house and the most state-of-the-art technological "smart" house features all controlled at the touch of a button. 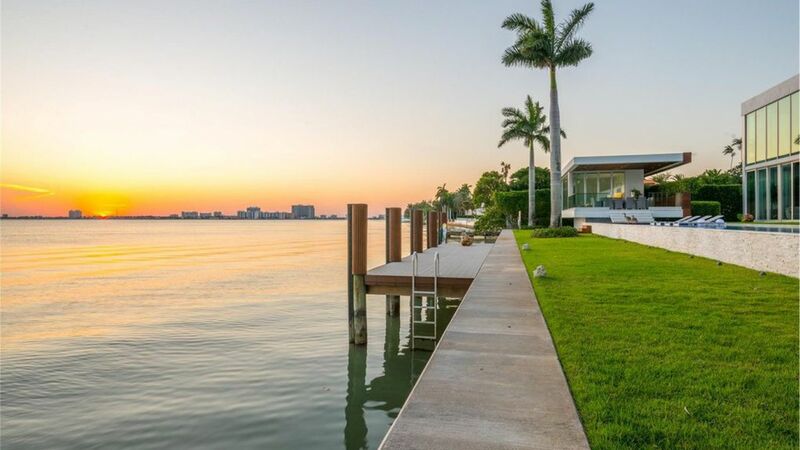 This awe-inspiring property also features exciting outdoor spaces including rooftop deck and a huge entertaining and pool area all situated in a park-like setting. 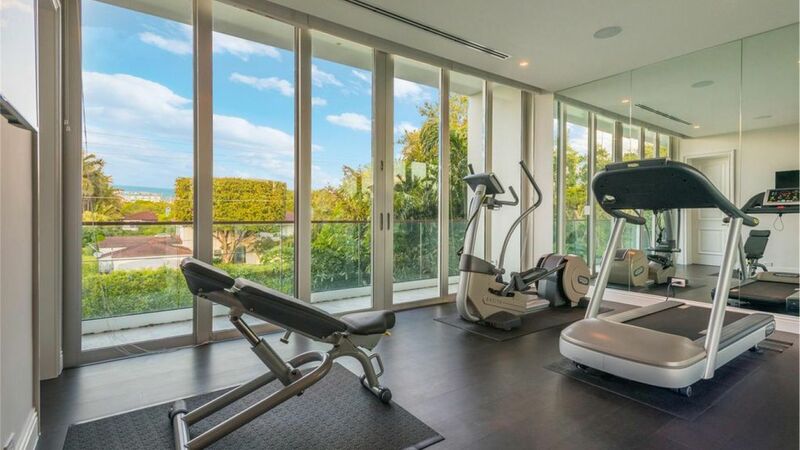 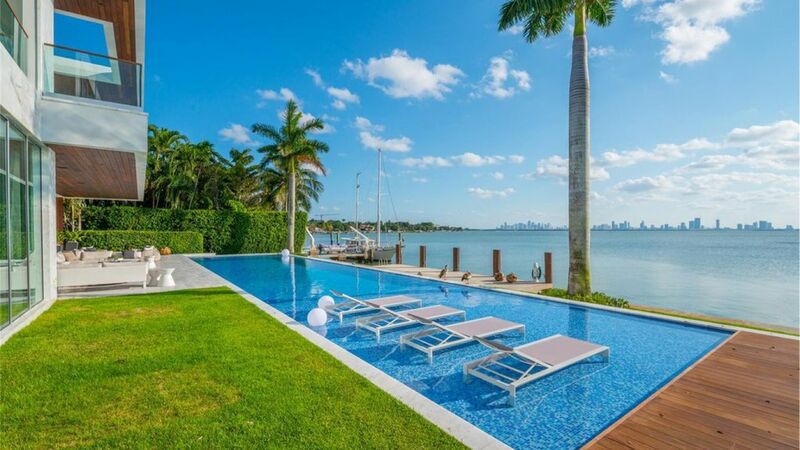 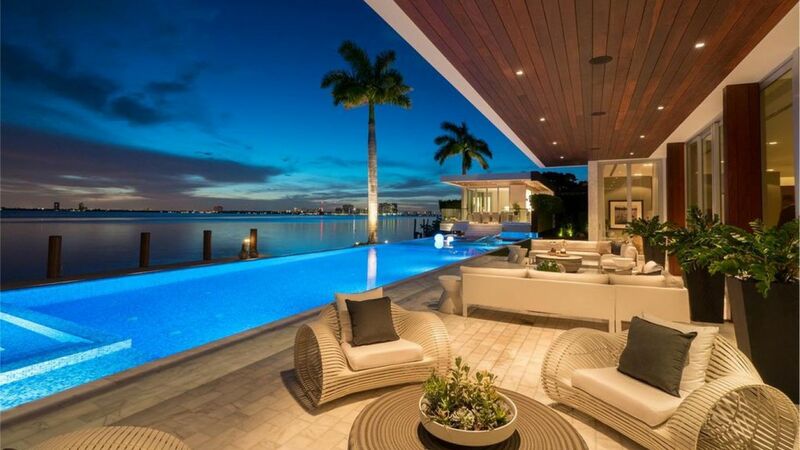 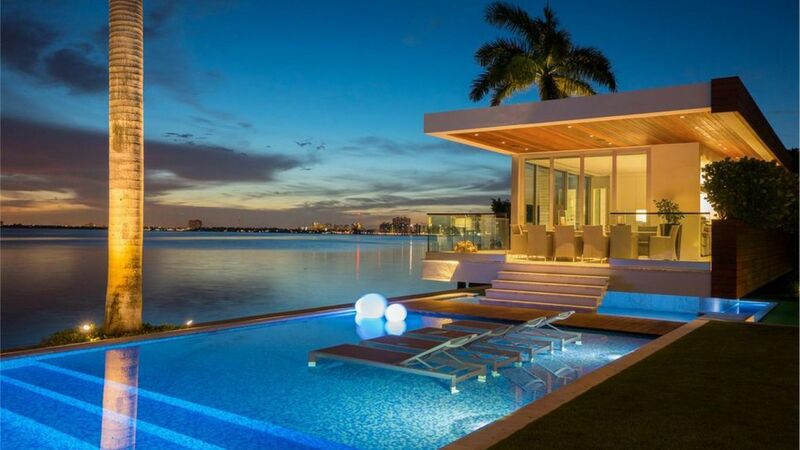 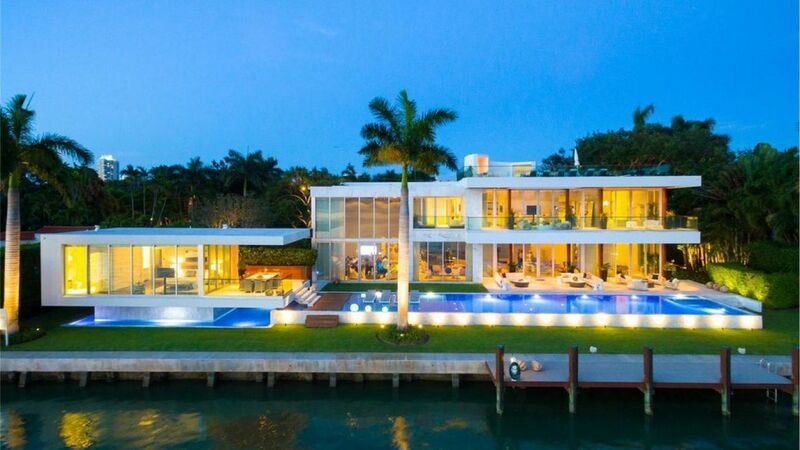 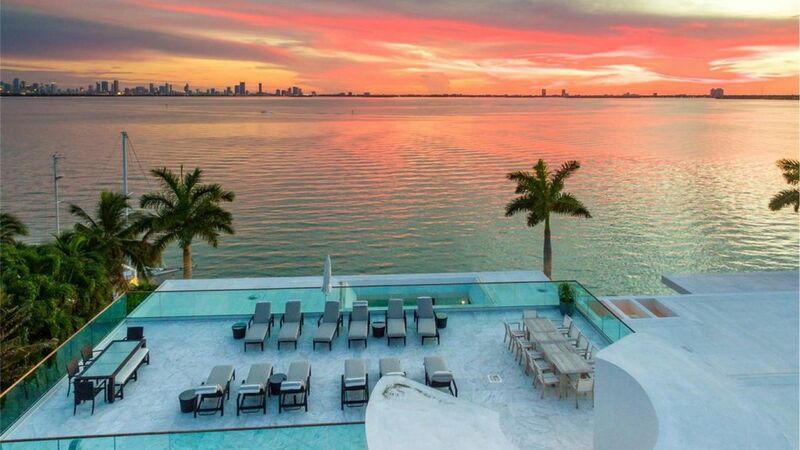 This estate is set to give you that unforgettable Miami holiday you truly deserve.